Harput Restaurant is a tiny Turkish eatery that is located in the locality of Al Barsha, Dubai. The interior of this bistro is quite simple and quite similar to a cafe, while the environment is vibrating, as it usually remain packed with Turkish patrons. 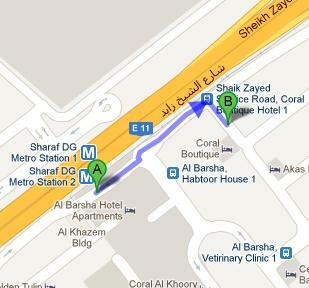 Access to this restaurant is rather easy because it is located close to famous Sheikh Zayed Road of Dubai. 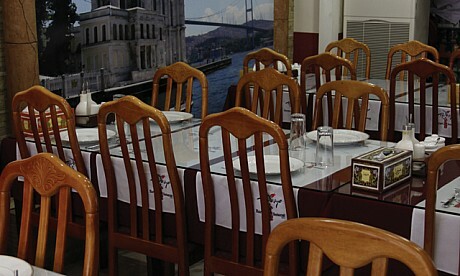 Its menu includes authentic Turkish cuisine that is delicious and superior in quality. Service provided by the staff is standard. As far as the price is concerned, Harput Restaurant is a reasonable place to eat out in Dubai. The menu of Harput Restaurant is heavily dominated by kababs and pide (Turkish pizza). Expert chefs of this bistro prepare these kababs, pides and other dishes in an open kitchen. Rich flavors and majestic aroma of these dishes suggest that their chefs know what ingredients they should blend to prepare an authentic Turkish dish. Some of the top rated dishes of this eatery are chicken doner pide, peynirli pide, shish taouk, iskender kebab, lamb schwarma and Turkish pizza. Aside from a la carte menu, guests can also relish traditional buffet breakfast in this bistro. Their free home delivery has given relief to the people, who for some reason cannot visit this restaurant for dine-in. Apart from this, Harput Restaurant also provides service for birthdays, parties and functions. To view the menu of Harput Restaurant, click here! This eatery starts its operations each day from noon and shuts down all activities at midnight. You will find this eating place open on all seven days of the week during these operational hours. Opposite Corel Hotel, Barsha 1, Dubai, United Arab Emirates. Sharaf DG Metro Station 1 is 400 meters away from Harput Restaurant. On foot commuters can cover this distance in roughly 5 minutes. All they need to do is to head in the northeast direction from this metro station and then go through one roundabout. After that they should make a right turn in order to spot the destination on the left side few meters away. Take bus number 93 or F33 and get to Shaik Zayed Service Road, Coral Boutique Hotel 1 – Dubai bus stop, as it is hardly 67 meters far from Harput Restaurant, which makes it a 48 seconds walking journey. If a bus user heads in the southeast course from this bus station in order to locate the destination on the left side. View map for directions.